Having an eagle eye for details is essential for running a successful business. You need to be able to notice and improve on many little things. One of the details that can say a lot about your company and affect your business directly are definitely logo uniforms for your staff. Just imagine yourself in a position when you have to decide between two companies to cooperate with. The first one being the one where each member of the staff is dressed in the way they want and the second one where all the workers are dressed the same, wearing logo uniforms. Which company would you take more seriously, honestly? When you pay attention to uniforms, it is an indicator that you are really into your business, taking it as seriously as possible. The staff uniforms can be a great way to make an awesome first impression on your client. 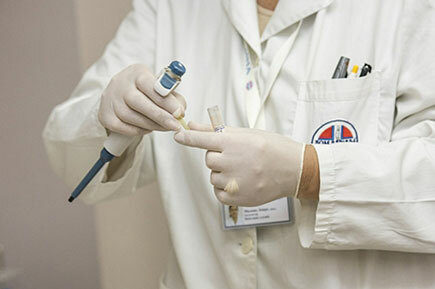 However, in order to do that they have to be in a perfect condition and well-maintained. Health, military and police uniforms are very well-recognised. Also, people recognise the uniforms of the kitchen staff, as well as hotel employees’ and uniforms of the other hospitality sectors. But there are so many incredible advantages of having work clothes that all other businesses should consider introducing it. Some of the most important and most valuable benefits of logo uniforms are listed below. One of the best ways to boost morale and build team spirit is to introduce company uniforms. There is a distinct psychological effect of all the members being dressed the same way. It brings people together, they become more close and feel like working for the same goal. That is the thing you want to achieve as an employer – all the members of the team working together, feeling all like one and going in the same direction. Also, it can be the key to a higher productivity of your employees. You know how clothes can make you think differently about yourself in just one moment, right? Well, simply by changing the way your employees dress for work, they change their attitude toward work. Somehow, wearing uniforms makes them feel like they have a higher level of responsibility. When staff are familiar with the fact they are easily identifiable via their uniforms, they tend to behave in a more cautious way, i.e, they become more aware of their actions. It is not a secret that, most often, first impression is all that lasts in business. Also, customers tend to have really high expectations from professional services. Here uniforms can be of a great help! Why? – you may ask. Well, simply imagine yourself in a flooded bathroom. A very stressful situation. When you call a service to fix the problem and they send a worker in a neat uniform with a company’s logo on it – somehow, you feel like you are in good hands. You would have a totally different feeling if you were sent a worker who is dressed in jeans and plain T-shirt, right? Remember that image wear is designed to make sure that the first impression you make is always a positive one. Besides these, there is one more very practical benefit – they are actually free advertising in some cases. Uniforms that are well-designed with a good company’s logo and worn in public can be like free billboards. Your company is promoted for free every day on your employee’s way from home to work. Truly amazing, isn’t it? Finally, we have to state the obvious, there are some industries where uniforms cannot be put to a good use. For example, you cannot find workers in uniforms in banks or law firms. They have a dress code, yes, but an actual uniform would be really off. One of the most important facts in business is projecting a professional image to a consumer or a customer. This is something that can be achieved with a high quality and well-maintained uniform. The image wear of the company is something that can say a lot about the company itself. A great first impression based on logo uniforms can be achieved only if the uniforms are perfectly clean and ironed, well-maintained and well-designed. However, this can be a lot of work and time-consuming. If you are running a big company that employees a great number of employees, it’s nearly impossible to do it yourself. What if we told you – you don’t have to do any of these chores? 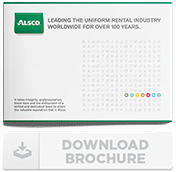 Alsco offers a uniform renting service for different types of businesses. We wash, iron and deliver all the uniforms you need and maintain them for you for a monthly fee. Create a better company image, contact Alsco representatives and make an enquiry about this great service.